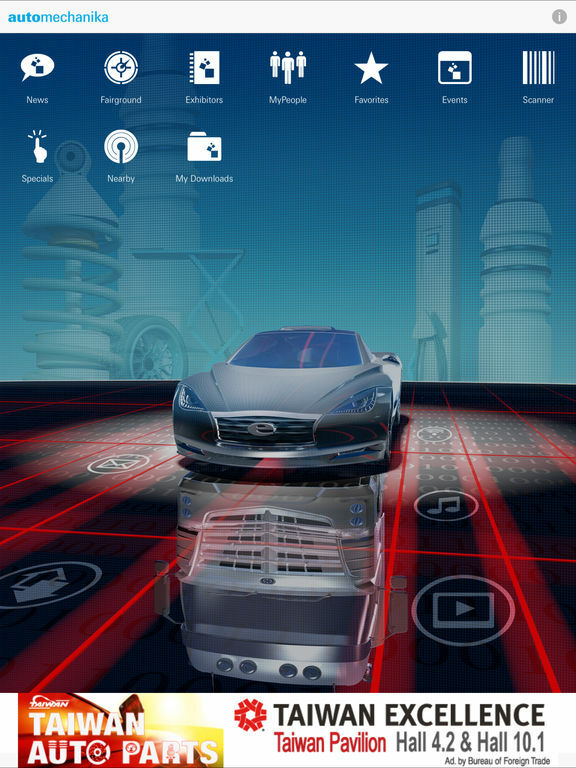 The Automechanika Navigator App is your guide at the trade fair. The app is free of charge and will be available shortly before Automechanika Frankfurt. 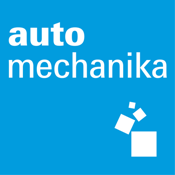 The full-text search finds all Automechanika exhibitors and products. 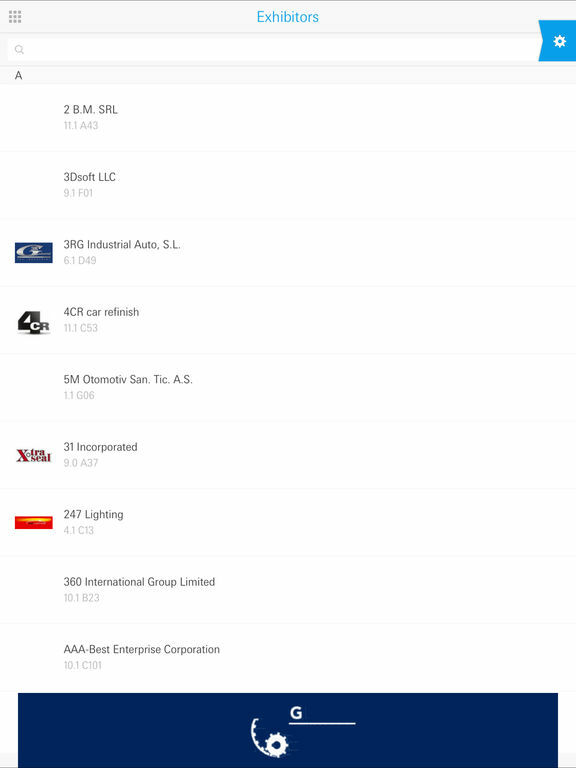 The exhibitor's details including contact information, an extensive description of the company and a product list can be displayed. One click allows you to identify the exhibitor's location on the floor plan. The News section not only offers the latest Automechanika press releases, but also provides updates on what is happening at the fair via social media messages. 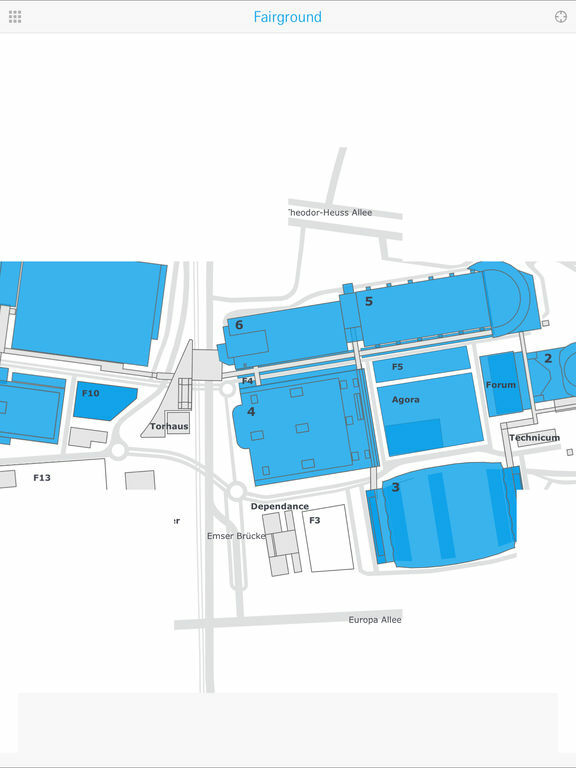 The halll plan offers an outline of the entire trade fair grounds from a schematic overview. By clicking on a hall, a level can be selected to reveal all the stands in the hall on the screen. A click on the trade fair stand displays the exhibitor's name, logo and stand number. The exhibitor's details can be viewed. Switching between the exhibitor search and the floor plan is fast and easy. 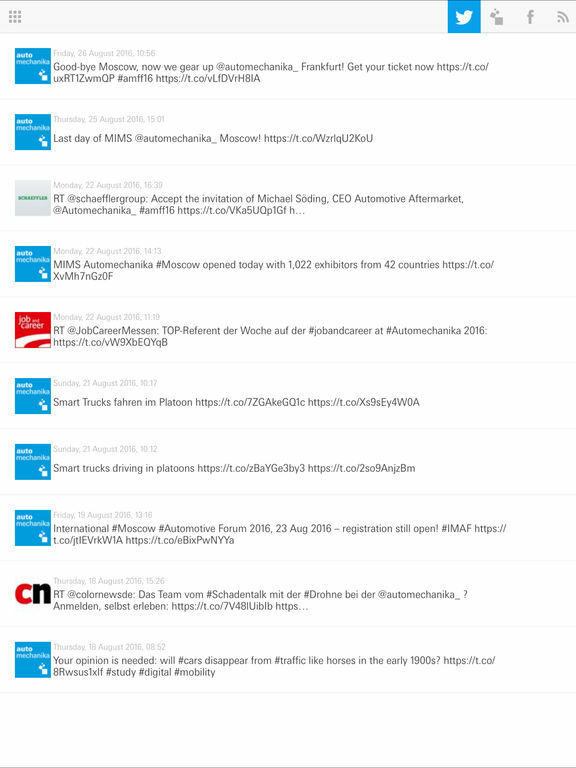 All events and event information during Automechanika Frankfurt at a glance. As a perfect way of planning your trade fair business, you can create your own list of favorites. With the scanner, you can scan QR codes and tickets.